London Euromaidan and Syria Solidarity UK joined the global protest against Russian aggression and Putin’s criminal actions on Friday 14th October. We called upon the UK Government and the international community to confront Putin for his war crimes against the people of Syria, Ukraine and Georgia. 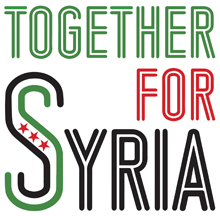 We urge the UK government to work with international allies to introduce a no-fly zone over Aleppo, as well as to apply a blanket freeze on assets of all Russian oligarchs, Russian government officials and their family members in the UK. Below is our letter to the Prime Minister. Introduce a no-fly zone over Aleppo, Syria in partnership with international allies. Freeze the assets of all Russian oligarchs, government officials and their families in the UK. Introduce further sanctions on Russian Federation, including suspension of the Russian banking system from SWIFT. Investigate the role of the Russian propaganda channel, RT (Russia Today), in promoting extremism, and ethnic hatred in the UK. Support the uninterrupted and comprehensive surveillance of the Ukrainian border with the Russian Federation by an international peacekeeping mission including extending OSCE monitoring of the border to 24 hours a day, 7 days a week. We call on the Government of the Russian Federation to fully withdraw forces from Ukraine and Syria; to return all Russian military personnel, weapons and military equipment back to Russia; and to release all Ukrainian citizens who are illegally held in custody—both in Russia and in Crimea—on politically motivated and trumped-up charges. 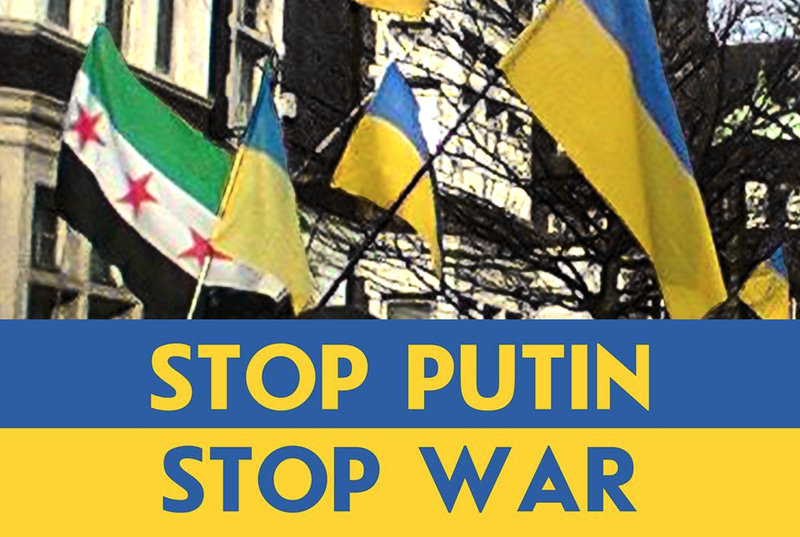 We—the people and friends of Syria and Ukraine—want an end to Putin’s killings of civilians, including children, and humanitarian workers in Syria and the east of Ukraine. We call on the British people to help us stop further loss of human life. Please support our cause. London Euromaidan and Syria Solidarity UK join the global protest against Russian aggression and Putin's criminal actions. 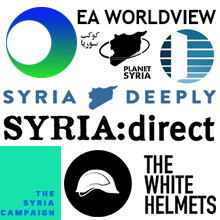 In light of the escalation of Russian aggression in Syria and Ukraine, continued attacks on civilians, including children and humanitarian workers, and continued displacement of people from Syria that fuels the refugee crisis, we urge the UK Government to work with the international community to confront Putin for his war crimes against Syria and Ukraine. Investigate the role of the Russian propaganda channel, RT (Russia Today), in promoting extremism, and ethnic hatred in the UK, and attempts to de-stabilise the political situation in the UK. We urge you to maintain political, diplomatic and economic pressure on the Government of the Russian Federation, until it fully withdraws their forces from Ukraine and Syria, returns all Russian military personnel, weapons and military equipment back to Russia, and releases all Ukrainian citizens who are illegally held in custody - both in Russia and in Crimea – on politically motivated and trumped-up charges. We thank you and your Government for your continued support of Ukraine and Syria. Briefing: How can a no-fly zone work?